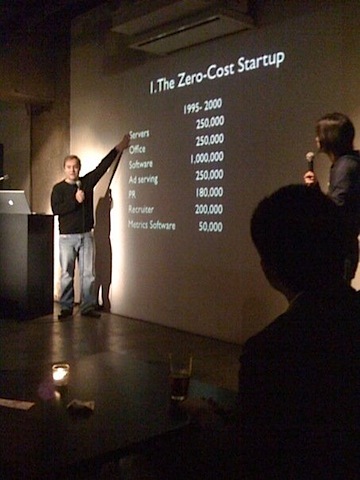 I somehow managed to catch Jason Calacanis on his very first visit to Japan ever making a presentation at Tokyo 2.0. I was just going over my notes only to be a bit shocked to see that I could of read most of these by subscribing to his email list as shown in this post. But to be fair, there’s also a lot that he said that wasn’t in the post and he’s a great speaker who does a great job of delivery, it was well worth the journey to see the real man in action. Now I can at least pretend that we’re actually Facebook friends since I shook his hand in real life. U.S. is the best represented and Israel the second with 7 presentations and Japan came in third with 3 startups making their pitch. Who knows when flying cars will arrive? Some say 2 years and others say 30 years or more but in some ways it’s arrived yet in a sense it never has. Electric cars in contrast have constantly arrived and re-arrived on the scene. The first was Edison’s model in 1913 followed by GM in 1973, the Vanguard-Sebris in 1974, GM’s EV-1 in 1999 that got destroyed by GM and the Tesla Roadster coming in 2008. The point: the future constantly plays with us and it’s the entrepreneur’s task to make it happen, but it’s hard and will only get harder. Personally experienced 3 boom/bust cycles. The global financial crisis puts us at a unique point in history where the whole world gets to experience the same recession, so how do you innovate in a recession? Now you can do the same with Amazon infrastructure, recruit through social networks, work from home/co-location office/distributed. Stocks have their ups and downs but the internet is still steadily rising whether it be time online, money spent online, internet access per capita, etc. In a recession, people postpone spending. Internet usage goes up as free time increases. In a down market, people build out of need and not greed. 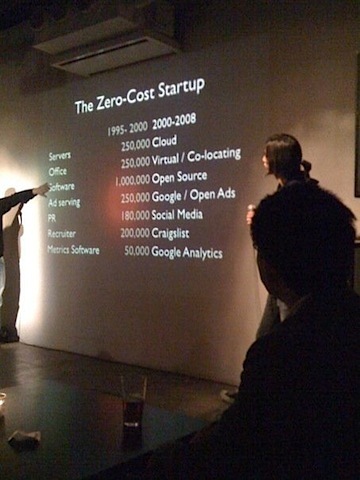 Companies founded on passion will outperform companies founded for economic gain. Everything that can be tried will be tried. The best things are made by people for themselves. Today we have anonymity, marketers and shady characters. Need to find a way to add trust to combat anonymity. There is no wisdom in crowds only in those that control them. Need a stronger foundation through the process of curation. It takes years to make a truly great company. 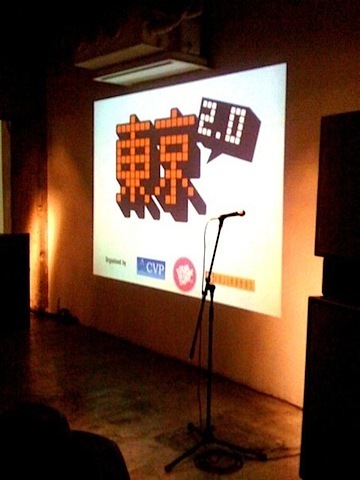 Some of the great ideas from web 1.0 are yet to be implemented even as web 2.0 is coming to an end. Build something that you love with patience and only worry about survival. Survival is what separates the real entrepreneurs.